An alternative classroom in Dartmouth is proving to be so successful, some students are opting to stay after school several nights a week. The room is an old portable in the school yard of Michael Wallace Elementary. It's now been converted into a so-called Makerspace, an open classroom filled with gadgets, building blocks and basic electronic materials. Last year, the school's vice-principal, who is also a teacher, went to a conference in the U.S. where she heard from the man who came up with the concept. Suzanne McKenzie flew home and instantly put a plan into action. She tasked several Grade 6 students with coming up with a business plan to ask the principal for funding. "It was almost like a business," she said. "We had people working on setting up the actual space, ordering the materials, and I just facilitated that." In no time the room was set up, and with a budget of just $1,200, the space was filled with out-of-the-box toys. Students taught themselves how to build circuits, they made solar-powered robots, and started developing their own computer games. What they didn't realize is that they were teaching themselves the basics in several fields including engineering, physics and computer programming — things that aren't traditionally taught at the elementary level. "It's really exciting to see the type of energy that comes from this space," said McKenzie. "That kind of engagement is a teacher's dream." The children are loving it. Makerspace isn't a part of their everyday classes, it's a club. They give up lunch hours to play in the portable, or they stay late after school. 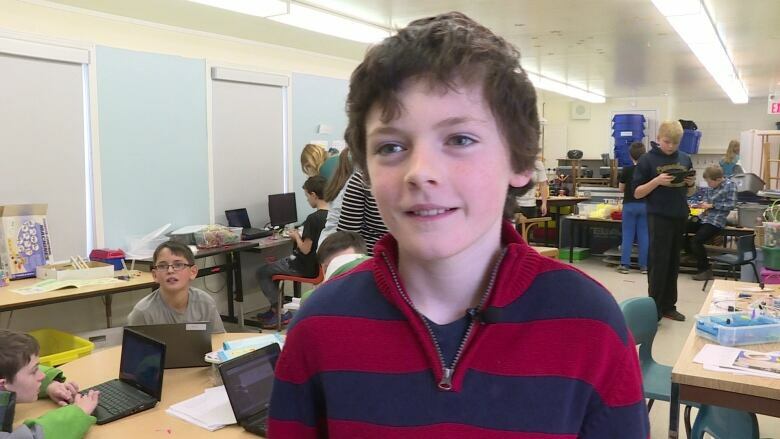 "Don't get me wrong, playing outside is fun, but this makes me feel really really smart," said 10-year-old Hayden Halley. "I like it because if I want to get a good job when I'm older, I need to be smart." Grade 6 student Tavia Lucas says it's helped her in class. "You can be more focused. I mean, sometimes you don't want to leave. But you can be more focused," she said. Lucas says it's also given her more confidence, because some of the equipment she's taught herself to use has later shown up in her own classroom. "You can do more when you learn more," she said. "Today we did programming in class and I already knew pretty much how to do it." Halley says he's learned a lot from watching his friends build things. "If there's something that you make and I don't know how to make that you can go, 'How did you make that?' so we can collaborate. It's really good." McKenzie believes this club is the future of education. 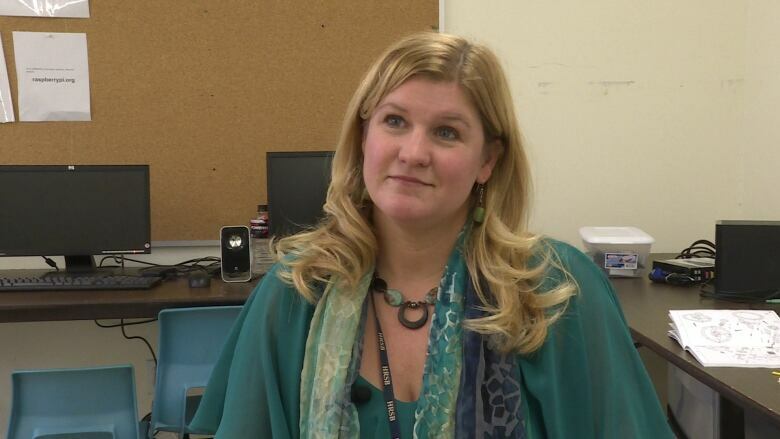 She says some teachers are hesitant to adapt to this model, because they don't understand the technology themselves. She's encouraging them to act as facilitators, and be OK with the fact that in this case, the kids might take on the teaching role. 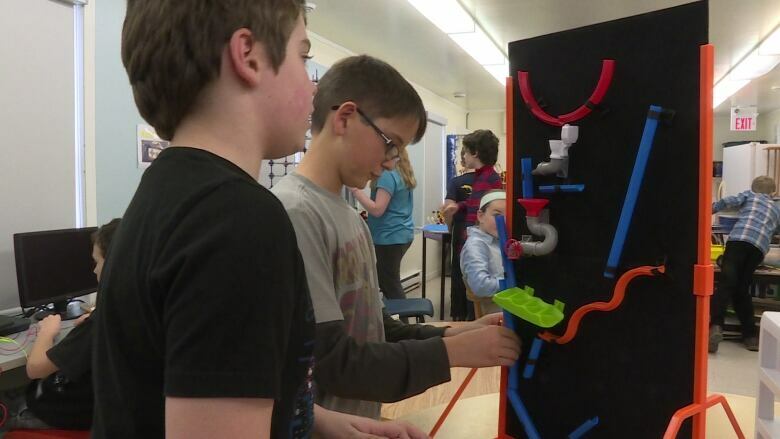 "This type of learning and learning style and opportunities, I think, provide kids with what they're really going to need in the future to succeed," said McKenzie. This month, she received enough money to buy a green screen and iPad for the space. Now they're acting and making movies. They've built robot costumes and put themselves in space. McKenzie hopes more schools can learn from this multi-platform model that encourages creativity and independence. She hopes it will one day be a part of the model within school hours. "To me, it's where we need to go with education in the future. Kids need to be moving a lot more," she said.